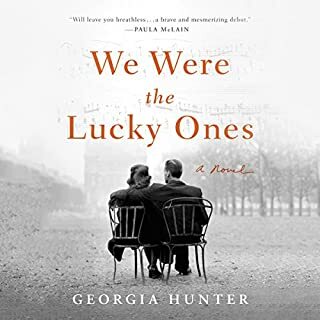 Inspired by the life of a real World War II heroine, this powerful debut novel reveals an incredible story of love, redemption, and terrible secrets that were hidden for decades. New York socialite Caroline Ferriday has her hands full with her post at the French consulate and a new love on the horizon. But Caroline's world is forever changed when Hitler's army invades Poland in September 1939 - and then sets its sights on France. For an ambitious young German doctor, Herta Oberheuser, an ad for a government medical position seems like her ticket out of a desolate life. Once hired, though, she finds herself trapped in a male-dominated realm of Nazi secrets and power. The lives of these three women are set on a collision course when the unthinkable happens, and Kasia is sent to Ravensbrück, the notorious Nazi concentration camp for women. Their stories cross continents - from New York to Paris, Germany, and Poland - as they strive and sacrifice to bring justice to those whom history has forgotten. 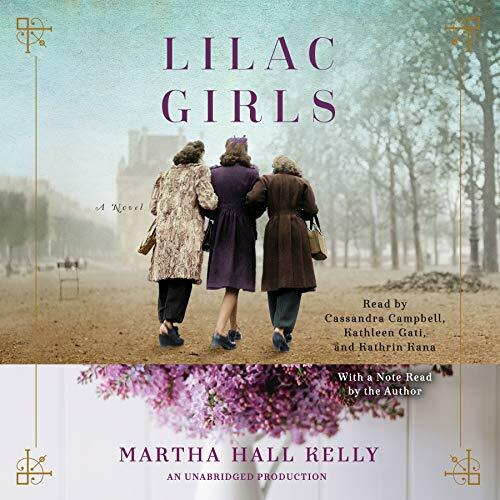 In Lilac Girls, Martha Hall Kelly has crafted a remarkable novel of unsung women and their quests for love, happiness, and second chances. It is a story that will keep listeners bonded with the characters, searching for the truth, until the final moments. This was a memorable book & the 3 stories were very interesting & well-written. Don't be tempted to read the author's note at the end of the book first. Spoilers! I'm glad the author included it. I wanted to know more about actual events. I'm inspired to read more about the "rabbits." The book seemed to drag a few times, but that's probably because I wanted things to happen that didn't. The book is long, but I don't think it needed editing (& I'm a former proofreader/copy editor). Each narrator was excellent! I would be surprised if anyone dislikes the narrators. Even when each does other accents, I didn't find it jarring or dissonant. There are a few places where it's quite sad & grim. But that's part of the book's purpose; it's about the Holocaust, after all. Overall, an interesting, moving book from a new author. I'll be watching for her next book! One of the best books I've ever heard! LOVED this book! I couldn't stop listening. I didn't know until afterward that this story is based on real people experience which makes it even! more amazing. There was no time in this book when I wanted to put it down. All my friends have gotten the book because of my recommendation and they say the same thing. The different character narrators' voices were amazing and really makes the listener feel like you are right there with them. The woman who narrated the character Kasha was especially good. I have never heard a narrator capture the emotion of a scene like she can... simply WOW! Don't pass this book up. What did you love best about Lilac Girls? I am a retired history teacher and have read many books on WW2. I was not aware of this bit of WW2 history. Survivors of the concentration camps endured unspeakable horror, yet their determination to live at all costs gave them the soul to make it. Kasia Kuzmerick, a Polish teenager who takes on the undeserved guilt of being Hitler's victim. I really liked that each of the main characters were narrated by a different person. It made it sound like individual stories. Who was the most memorable character of Lilac Girls and why? the medical code is - First do no harm- I don't know if this in true in Hitler's Germany, but she struggles with sexism while denying her own prejudices. The author combines just enough fiction with historical facts to provide depth to the story. I really liked the author's notes about the real "Rabbits." 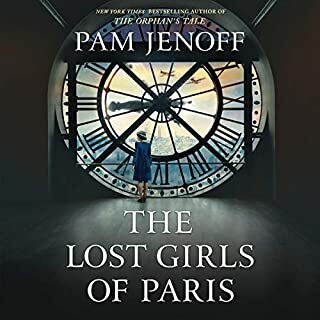 I hesitated at first about taking on another historical novel set amidst World War II - but rest assured this is a story you have not heard - about people you may have heard about and events that might sound a bit familiar. But that is where familiarity ends. The extraordinary attention to detail, the depth of the characters, and the narrative told from the points of view of three different but interlinked characters make for superb reading (or listening). 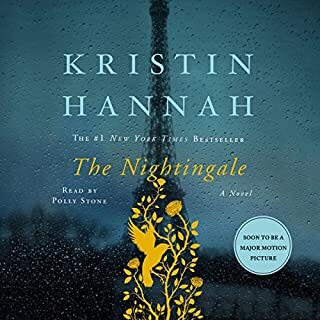 This is a novel about so much more than the many Nazi atrocities we know about - it's about being willing to love and be loved, learning that we cannot control events but must live them, it's about the complications borne of buried trauma, and ultimately about facing pain in order to grab hold of one's life - and live with gusto - no matter the cost. Because it's worth it. I dont think that I was quite expecting this story to move me so profoundly. I actually cried at the end, tears of sorrow for the horrible experiences that these women endured. I definitely want to learn more of this time period and intend to do more reading, if my heart can handle it. The part I liked best was how the author showed some insight into how someone may have been caught up in aiding in this evil. Very well written! This book was powerful and well worth the read (listen). There were moments of doubt as the story is hard at times, but the author continues to pull you along, despite the excruciating story line. If you have any interest in World War II you will certainly appreciate this book. My personal thoughts: the very beginning was a little rough for me. It was a hard first chapter, but once I made it through that chapter it was smooth sailing from there. There were times I had to go back in the book to catch details I had obviously missed, I'd recommend being able to fully concentrate on each word. We are now in a world that we can not go back and get first hand stories of this time and I cannot express enough appreciation to this author who gave this reader the next best thing. Nothing I disliked, but some parts were very hard to hear... From an emotional standpoint. Heartbreaking to think what we have done to each other, human to human, in our past and I am sure in our future. Loved all the characters, but most especially, Kasha. Wonderful book! 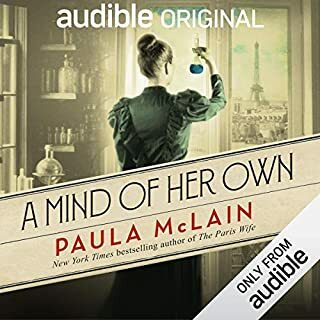 This book is fabulous and I highly recommend the audio version to truly bring these women to life! I have read a lot of books on concentration camps and have even visited a few but this was a learning experience for me I had never heard of the Ravensbruck Rabbits, you hear so much about Mengele’s experiments on twins but I never knew about the experiments these women went through in Ravenbruck. As with any book on concentration camps this one is heartbreaking; however there is so much hope in this book because a large part of the book is about the survivors and the after effects that there is hope and hope’s name is Caroline Ferriday. She truly saved these women years of pain by getting them to the US and getting them surgery to fix the atrocious things that were done to them. I enjoyed the different storylines told by Caroline, Kasia one of the survivors and Herta one of the doctors at the camp which was an interesting storyline because you just couldn’t like her no matter if she felt bad for what she was doing or not. I also enjoyed the addition of Kasia’s sister Suzanna (sp audio) who is a doctor and also a survivor of Ravenbruck. 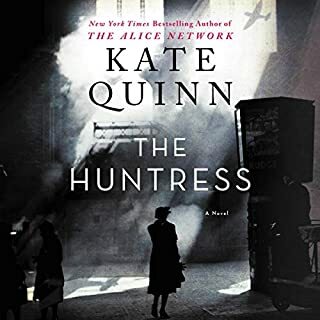 CAROLINE, read by Cassandra Campbell…KASIA, read by Kathleen Gati….HERTA, read by Kathrin Kana the narration on this book was so fantastic I can’t even come up with enough words to tell you to listen to the audio version of this book. These 3 narrators brought these women to life for me and I believe enhanced my enjoyment of this book. I could go on and on about this book and I think this will be in my top books of the year this year. So I’ll just say if you enjoy historical fiction or WWII fiction you need to read this book! This story which brought to light the harrowing things that happened to the polish prisoners in a Nazi concentration camp. It's a story of love, loss , and how evil cannot win. Beautifully narrated and wonderfully told, this story will be in my heart forever. This book is unputdownable. It is based on facts. The author really has a great insight into the lives of prisoners in the different camps. Overall a brilliant story, well told. Simple said this is a brilliant book, with impeccable narration. This is based on a true story, we have all heard and read about the atrocities in the nazi concentration camps, but I knew nothing of this particular story. What amazing courageous women they were. If you are thinking of reading it, please give it a try. If you do like it as much as I did, try Beneath a scarlet sky by Mark Sullivan. This could have been a brilliant book but for me Caroline's narrations let it down. I found her story dull and her character selfish and boring. Especailly compared to the other two - Herta and Kasia- who's stories were compelling and in depth. The performance of the book can not be faulted. The German and Polish accents were terrific and I think I definitely benefited from listening to it rather than reading it myself. This was a hard read and something that every person should have as required reading. The story makes harrowing topics accessible and the trials these women suffered and overcame are not sugar coated. The bravery in the face of unimaginable atrocities has shaken me to the core. I read this with tears in my eyes and can honestly say I admire the Ravensbruck prisoners and their courage. I loved each of the characters. Moving story that had me engrossed straight away. would recommend. I'm giving this book 5 stars not because it's perfect, but because it's a stunning provocative debut absolutely packed with rich detail. It's a book that doesn't shy away from horror. The very depths of depravity that humanity can sink to are laid bare, but as an important counterbalance, so also are the ways in which humanity rises above atrocity, and seeks to diminish injustice, is also beautifully portrayed. It is a book that ends in hope. It restores our faith. The detail is extraordinarily vivid, so much so that it reads with amazing authenticity. The author is really 'seeing' everything she writes. I'm really not sure why it was called Lilac Girls. It's a very weak/obscure title for such powerful book. Maybe this is the point of the anti-climax. Likewise with regard to the cover, who are the three girls portrayed? A small criticism through the concentration camp scenes, is the lack of dramatic tension, despite the huge dramatic detail. At times it reads a little like adventure, a 'girls own' story and not a serious narrative - this possibly wasn't aided by the narration. The scene where Herta makes a first lethal injection was silly, not shocking. Saying this, the positives far far outweigh the negatives and I wouldn't hesitate to recommend this book. The author's note at the end was fascinating - hearing about her writing processes really added to the story. So much detail has been taken from historical records in the form of letters and documentation - it must be extremely difficult to turn a real person into a character, but I think the author has achieved this admirably. There are quite a few novels out there at the moment about women's experience of war, such as 'Daughters of the Night Sky' and 'The Nightingale' and this book really dovetails the genre, giving another angle of women's involvement in wartime Europe, an area historians are keen to forget/deny. A formidable debut from an author I will be looking out for in the future. 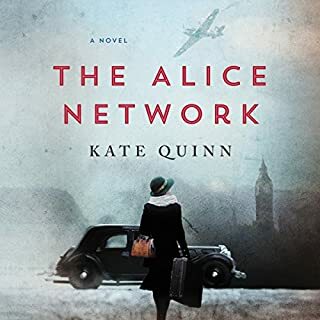 Three women with very different lives come together in this moving tale of suffering and selflessness in World War II. The writer does a very good job with this difficult brief. Some aspects of the story surprise as they are real characters and events not well known in the present day. The performances bring the story vividly to life but I was mildly irritated by the patronising voice of Carolyn Ferriday, which somewhat detracts from her character, in my opinion. Despite this, a very enjoyable book. Having first thought this was purely fictional I was blown away by the truth. Harrowing, haunting and inspirational, this story captures all of ones emotions. The girls of ravensbruck must always be remembered for their sheer will to survive. The narration was wonderful, and really helped to picture very realistic people and events. Thank you for this book, and for this performance. it's one of the best books I have read from the WW2 era I would recommend it to everyone. They make you feel you are listening to the characters in the book. Such an amazing story steeped with history, I cried a lot throughout. The narrators were perfect and I felt at times like I was there with them all. I am greatful for the learning experience of this book. Such stories deserve to be told. Unfortunately I did not enjoy the writing style. I found that I lacked any kind of connection to the characters. The thing that frustrated me the most was the romances in the book. They seemed childish, underdeveloped and unnecessary. Can't understand why I am in the minority here! Absolutely loved this amazing story based on true events and real people. So inspiring! The author has managed to bring this harsh reality to life without depressing the reader. Her beautiful expressions a delight throughout the book. most incredible book I've listened to in ages. I couldn't stop listening. Powerful to hear, and remember, the horrors suffered by these women and wonderful to know they had such a strong woman to fight for their rights.